Most galaxies are clumped together in groups or clusters. A neighboring galaxy is never far away. 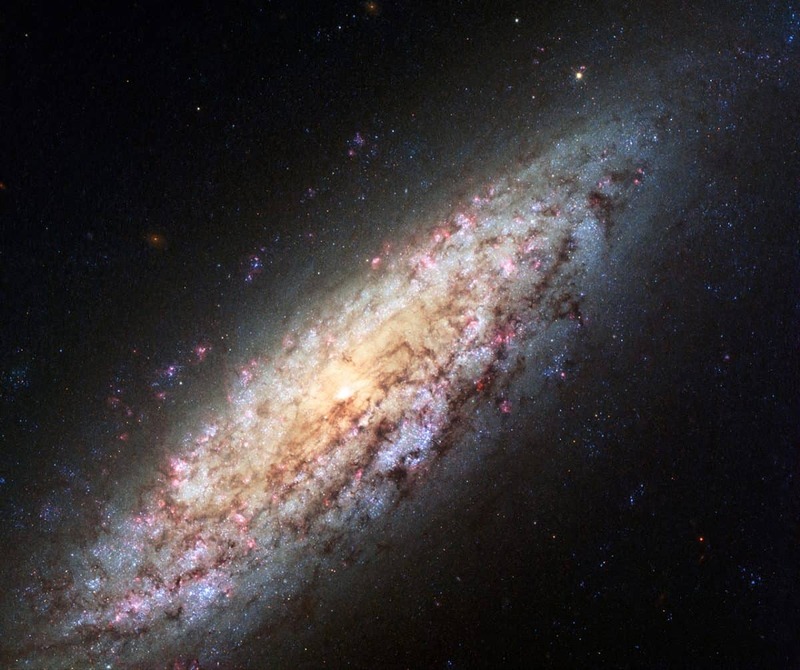 But this galaxy, known as NGC 6503, has found itself in a lonely position, at the edge of a strangely empty patch of space called the Local Void. The Local Void is a huge stretch of space that is at least 150 million light-years across. It seems completely empty of stars or galaxies. The galaxy’s odd location on the edge of this never-land led stargazer Stephen James O’Meara to dub it the “Lost-In-Space galaxy” in his 2007 book, Hidden Treasures. NGC 6503 is 18 million light-years away from us in the northern circumpolar constellation of Draco. NGC 6503 spans some 30,000 light-years, about a third of the size of the Milky Way. This Hubble Space Telescope image shows NGC 6503 in striking detail and with a rich set of colors. Bright red patches of gas can be seen scattered through its swirling spiral arms, mixed with bright blue regions that contain newly forming stars. Dark brown dust lanes snake across the galaxy’s bright arms and center, giving it a mottled appearance. The Hubble Advanced Camera for Surveys data for NGC 6503 were taken in April 2003, and the Wide Field Camera 3 data were taken in August 2013.